Our guide to Sacramento will help you find the best free wifi hotspots in Sacramento California. An agricultural hub and the seat of the California state government, the city of Sacramento plays an important contemporary role. About 2 million people live in the metropolitan area, and the continuing influx of newcomers seeking opportunity, sunshine, and lower housing costs than in coastal California has made it one of the nation's fastest-growing regions. The surrounding Gold Country -- named for the mining towns that sprang up during the Gold Rush years of the 1850s -- is one of California's least expensive destinations, a region of the Sierra Nevada foothills that is filled with natural and cultural pleasures. There are tons of great free wifi hotspots in the city of Sacramento, our city guide will help you find the best free wifi hotspots. You may have a hard time deciding what to do in Sacramento, but we make your decision easy. 1 Adobe Ct, (916) 485-6922 - The Town & Country Village Starbucks offers drip brewed coffee, espresso and other drinks and snacks and is also a free WiFi hotspot. 1014 10th St, (916) 443-4960 - Temple Coffee & Tea is a free wifi coffeeshop / cafe located in Sacramento CA. 1042 Florin Rd, (916) 427-9312 - The Greenhaven @ Florin Starbucks offers free WiFi in addition to coffee, espresso and other hot and cold drinks. 1140 Exposition Blvd, (916) 925-5693 - The Expo & Exposition Sacramento Starbucks offers free WiFi in addition to coffee, espresso and other hot and cold drinks. 1401 Alhambra Blvd, (916) 452-1707 - The Alhambra & N Starbucks offers drip brewed coffee, espresso and other drinks and snacks and is also a free WiFi hotspot. 1420 65th St, (916) 454-4231 - 65th St. & Folsom Sacramento Starbucks now provides customers with free wi-fi in addition to the normal coffee and espresso served up daily. 1429 Broadway, (916) 447-5105 - The 15th & Broadway Sacramento Starbucks offers free WiFi in addition to coffee, espresso and other hot and cold drinks. 1430 H St, (916) 930-0866 - 15th & H Street Sacramento Starbucks now provides customers with free wi-fi in addition to the normal coffee and espresso served up daily. 1461 Meadowview Rd, (916) 429-2748 - The Freeport & Meadowview Sacramento Starbucks offers drip brewed coffee, espresso and other drinks and snacks and is also a free WiFi hotspot. 1500 K St, (916) 444-3633 - Capitol Garage Cafe is a free wifi coffeeshop / cafe located in Sacramento CA. 1501 16th St, (916) 447-1968 - The 1601 P Street Sacramento Starbucks offers free WiFi in addition to coffee, espresso and other hot and cold drinks. 1628 K St, (916) 442-8889 - Infusion is a free wifi coffeeshop / cafe located in Sacramento CA. 1689 Arden Way, (916) 568-7420 - Arden Fair Mall Starbucks now provides customers with free wi-fi in addition to the normal coffee and espresso served up daily. 1699 Stewart Rd, (916) 491-4008 - N Street Cafe is a free wifi coffeeshop / cafe located in Sacramento CA. 16th St & I St, (916) 781-3041 - Cup-A-Joe is a free wifi coffeeshop / cafe located in Sacramento CA. 1800 Capitol Ave, (916) 444-5282 - Java City is a free wifi coffeeshop / cafe located in Sacramento CA. 1827 I St, (916) 443-6133 - Butch-n-Nellies Coffee Co. is a free wifi coffeeshop / cafe located in Sacramento CA. 1901 J St, (916) 444-1892 - The 19th & J Street Sacramento Starbucks offers free WiFi in addition to coffee, espresso and other hot and cold drinks. 2001 Stockton St, (916) 455-7553 - Stockton & T Street Sacramento Starbucks now provides customers with free wi-fi in addition to the normal coffee and espresso served up daily. 2022 N St, (916) 491-4008 - N Street Cafe is a free wifi coffeeshop / cafe located in Sacramento CA. 2100 Arden Way, (916) 568-0297 - The Howe & Arden Sacramento Starbucks offers free WiFi in addition to coffee, espresso and other hot and cold drinks. 2119 Fulton Ave, (916) 483-7029 - Fulton & Cottage Sacramento Starbucks now provides customers with free wi-fi in addition to the normal coffee and espresso served up daily. 2121 Natomas Xing Dr, (916) 515-0837 - The Truxel & Natomas Sacramento Starbucks offers free WiFi in addition to coffee, espresso and other hot and cold drinks. 2427 Marconi Ave, (916) 488-1200 - gigaBite cafe is a free wifi coffeeshop / cafe located in Sacramento CA. 2456 Rio Linda Blvd, (916) 925-2232 - Del Paso & El Camino Sac (UCO) Starbucks now provides customers with free wi-fi in addition to the normal coffee and espresso served up daily. 1100 H St, (916) 441-1314 - Best Western Sutter House is a free wifi hotel / motel / resort located in Sacramento CA. 1111 H St, (916) 444-8880 - Capitol Center Travelodge is a free wifi hotel / motel / resort located in Sacramento CA. 140 Promenade Cir, (888) 897-0084 - Staybridge Suites Sacramento Natomas is a free wifi hotel / motel / resort located in Sacramento CA. 1413 Howe Ave, (916) 922-9833 - Best Western Expo Inn is a free wifi hotel / motel / resort located in Sacramento CA. 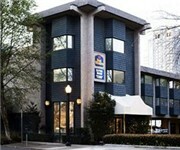 15 Massie Ct, (916) 689-4425 - Best Western John Jay Inn is a free wifi hotel / motel / resort located in Sacramento CA. 1501 L St, (916) 340-3107 - Residence Inn Sacramento at Capitol Park is a free wifi hotel / motel / resort located in Sacramento CA. 1530 Howe Ave, (916) 920-9111 - Residence Inn Sacramento Cal Expo is a free wifi hotel / motel / resort located in Sacramento CA. 1530 N St, (916) 447-8100 - Inn Off Capitol Park is a free wifi hotel / motel / resort located in Sacramento CA. 1780 Tribute Rd, (916) 920-5300 - Fairfield Inn Sacramento Cal Expo is a free wifi hotel / motel / resort located in Sacramento CA. 200 Jibboom St, (916) 448-8100 - La Quinta Inn-Downtown is a free wifi hotel / motel / resort located in Sacramento CA. 2001 Pt W Way, (916) 929-8855 - Doubletree Hotel is a free wifi hotel / motel / resort located in Sacramento CA. 21 Howe Ave, (916) 379-0400 - Comfort Inn & Suites is a free wifi hotel / motel / resort located in Sacramento CA. 2101 River Plz Dr, (916) 922-1120 - "An eight mile free shuttle ride from your flight to Sacramento lands you in comfort at the Courtyard by Marriott Sacramento Airport Natomas Hotel. 2200 Harvard St, (916) 922-4700 - Hilton Sacramento Arden West is a free wifi hotel / motel / resort located in Sacramento CA. 2410 W El Camino Ave, (916) 649-1300 - Residence Inn Sacramento Airport Natomas is a free wifi hotel / motel / resort located in Sacramento CA. 2555 Venture Oaks Way, (916) 925-2280 - SpringHill Suites Sacramento Airport Natomas is a free wifi hotel / motel / resort located in Sacramento CA. 2730 El Centro Rd, (916) 923-7472 - Fairfield Inn & Suites Sacramento Airport Natomas is a free wifi hotel / motel / resort located in Sacramento CA. 2981 Advantage Ln, (916) 928-9400 - Holiday Inn Express Sacramento Airport Natomas is a free wifi hotel / motel / resort located in Sacramento CA. 321 Bercut Dr, (916) 441-1200 - Sacramento Hawthorn Hotel Suites is a free wifi hotel / motel / resort located in Sacramento CA. 1730 L St, (916) 451-2200 - Crepeville is a free wifi restaurant located in Sacramento CA. 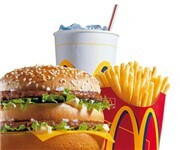 2378 Florin Rd, 916 4218492? - Rice Bowl Seafood Restaurant is a free wifi restaurant located in Sacramento CA. 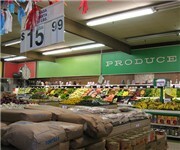 1814 19th St, (916) 492-9967 - Safeway grocery stores have Free Wi-Fi in their coffee shop areas. 2851 del Paso Rd, (916) 285-8840 - Safeway grocery stores have Free Wi-Fi in their coffee shop areas. 424 Howe Ave, (916) 925-1676 - Safeway grocery stores have Free Wi-Fi in their coffee shop areas. 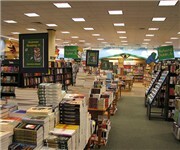 1725 Arden Way, (916) 565-0644 - Barnes & Noble is the nation's top bookseller. 3561 N Fwy Blvd, (916) 285-0387 - Barnes & Noble is the nation's top bookseller. There are plenty more free wifi hotspots in Sacramento. See all free wifi hotspots in Sacramento California.